To alleviate a bit of burden for the well-intentioned initiate, I recommend and instant variety of polenta, available along with the dry pasta or rice aisle at your local market. 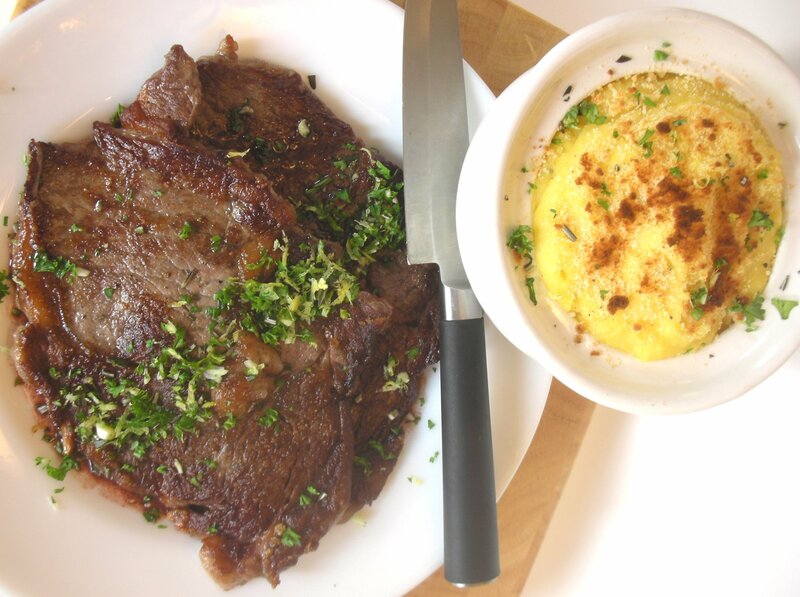 Employing the cornmeal concoction as a side dish for this polenta permutation, I’ve paired it with a pan-seared ribeye and—supplying a callback to Italian cuisine—garnished with gremolata, an aromatic condiment composed of fresh herbs, garlic, and lemon zest. 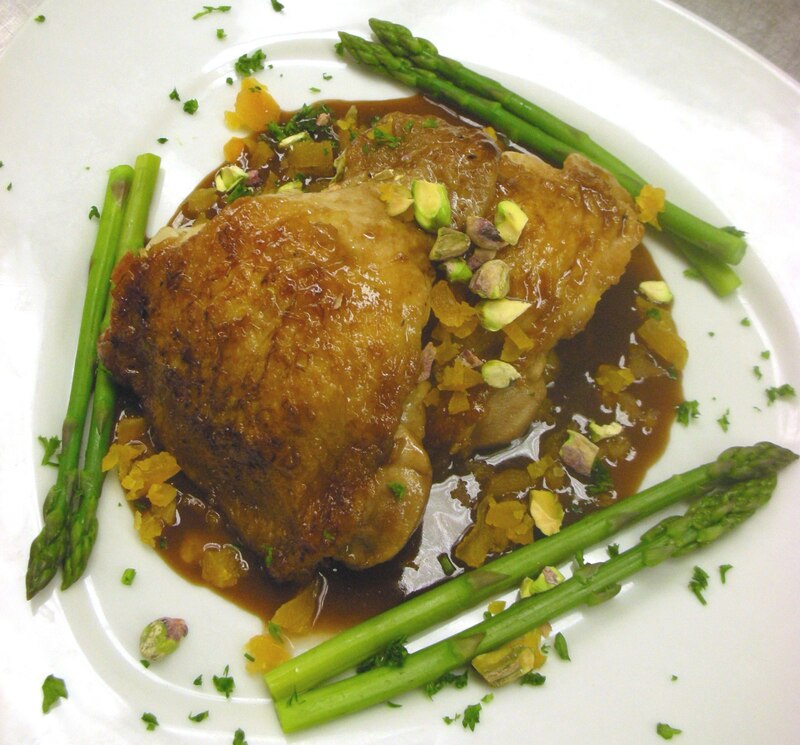 Uncork a bottle of pinot noir (for sipping and for deglazing your pan for a loose, red wine reduction) and you’re set. Is it mush? Sure—I’ll respond with a shrug. But it’s a noble sort of mush, my friend. 1. Prepare gremolata, place in a lidded container and reserve in refrigerator. 2. In a medium-size saucepan, heat stock to low simmer; add in polenta and cook until softened. Add parmesan and stir in butter; adjust seasoning with salt and pepper. Cover and set aside. 3. Season exterior of ribeye steaks with kosher salt and cracked black pepper. In a sauté pan over high heat, add a small amount of olive oil and pan-sear steaks to desired doneness. Remove steaks, place on a plate, and cover with foil; allow to rest for at least ten minutes. Reduce heat to medium-low and, using a wooden spoon, deglaze pan with red wine; allow to reduce by half before adding rendering steak juices from holding plate. 4. Optional: place polenta in small crocks, sprinkle with parmesan cheese and toast the top under a broiler. Serve ribeyes with pan reduction and garnish with gremolata. Originally appeared in the November 8, 2012 edition of the Southside Times. I realize there are more than a few conservative, culinary purists who would baulk at the liberal rearrangement of a traditional Caesar salad. But hey, before you come to bury Caesar, at least give this week’s recipe a chance. That being said, I am indeed one of the subscribers to this adage: that the barometer for a chef’s skill should be the professional prowess of how they construct a classic Caesar. The backbone of all noble Caesars is an emulsion essentially containing anchovies, eggs, oil, and parmesan cheese (and some additional seasonings). The steak is solely employed to make this salad an entrée, and the additional elements—the egg, the tomato, and the haricot vert—well, they just sounded like they’d get along with the rest of the gastronomic gang. And what’s that with two types of cheese? Though I’d never have had the courage to tell one of my estimable chefs this, I have the guts to tell you, don’t sweat it. And yes, I also realize that we’re ebbing away from salad season; but, like all the classics, we can always conjure an occasion to enjoy them. And, like all the classics, we can always find an excuse for reinterpretation. 1 – 2 heads of romaine lettuce, cleaned, chopped into bite-size pieces, rinsed and drained. 1. For dressing: mash anchovies and garlic together to make a paste. Beat in eggs and lemon juice until smooth. Beating constantly with a whisk, slowly add in olive oil to form an emulsion. Add in Parmesan cheese and season to taste. Place in refrigerator while you prepare remaining components. 2. In a sanitized kitchen sink fill with potable water, rinse the chopped romaine and drain thoroughly; reserve in refrigerator. Blanch green beans in boiling water, shocking afterwards in ice water to halt cooking process; drain and reserve in fridge. Prepare hard-boiled eggs, peel and chill. Season steak with kosher salt and cracked black pepper, and in a sauté pan over high-heat, sear steaks on both sides. When desired doneness is reached, place steaks on a plate, cover with foil, and allow to rest for ten minutes before slicing. 3. In a large bowl, toss romaine with desired amount of dressing. 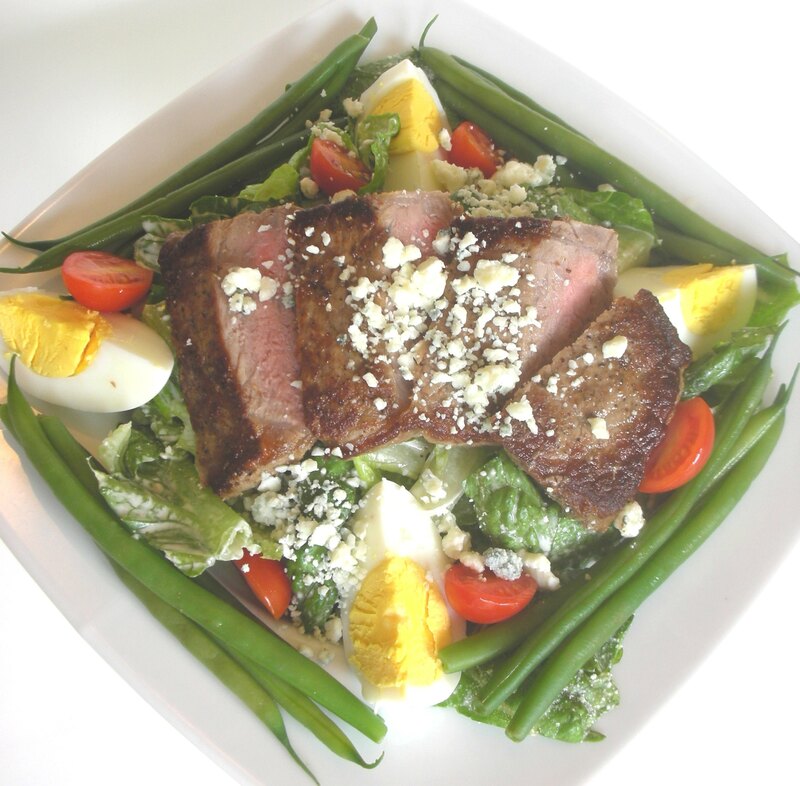 Plate each serving with a mound of dressed romaine, and arrange haricot vert, eggs, steak, and tomatoes on top. 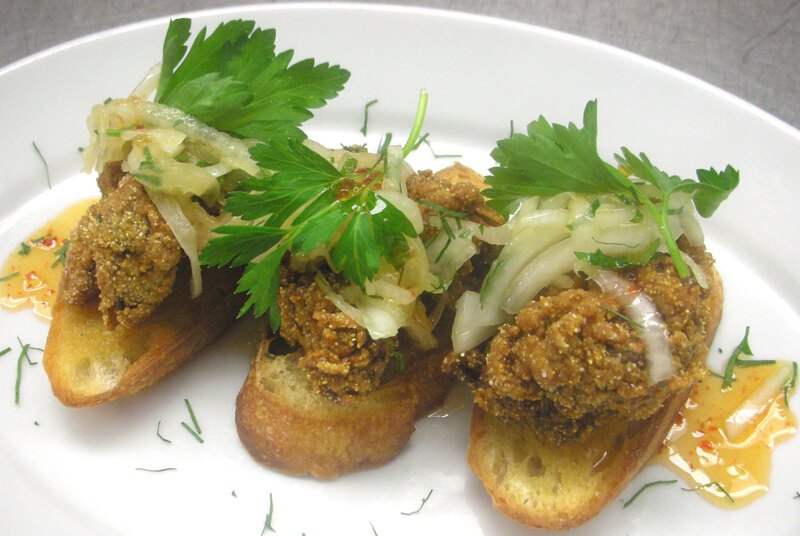 Garnish each salad with crumbled blue cheese.